18 months ago, Symantec, makers of the popular program suite Norton Utilities, had a scary prediction for Mac users. Symantec claimed that the Mac OS was “increasingly becoming a target for the malicious activity that is more commonly associated with Microsoft.” That’s quite an ominous prediction from a company that claims to be the “global leader in information security” on their website. A lot of people look to companies like Symantec for information and guidance and I’m sure many Mac users purchased Symantec anti spyware and virus protection software based on this prediction. So during the last 18 months how much “malicious activity” was targeted towards the Mac OS? Ummm…… basically none. This week Symantec admitted that their prediction last year about increasing Mac-targeted spyware was just plain wrong. Oops. In addition to admitting their mistake about the Mac OS this week, Symantec also published a new Internet Threat Report. So what does Symantec have to say about the Mac OS this time? Nothing… The Mac OS isn’t even mentioned in this years report. Why has Symantec gone silent when it comes to Apple? Munir Kotadia, a reporter for ZDNet Australia was wondering the same thing so he asked Symantec about the omission. 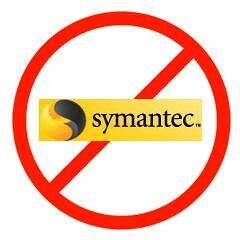 It seems that Symantec hasn’t seen any new Mac-related threats this year and doesn’t want to cry wolf again. Good idea. Besides a couple Trojan Horses, I can’t remember the last time I saw a Mac virus. When was the last Mac OS virus anyway? 1987?